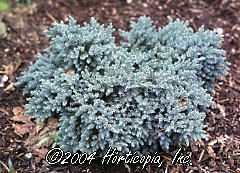 Slow growing, dense, evergreen shrub. Young, needle-type leaves have bluish tint and growth tips resemble a star. Can be grafted on a standard to produce a striking special form plant.